The Reading Life – A New Trend in eReaders? I’ve been feeling sort-of guilty for a few years now because I started reading electronically over ten years ago, first on my Palm Pilot, then on my cellphone. Then, when dedicated e-readers emerged, I finally thought I’d better put my money where my profession lived, and buy one of the damned things. I didn’t actually buy one, in the end. I got a Sony reader for Christmas. Although if you want to stretch the point, I did end up buying it, really. The money comes out of the same bank account. Long story short, that ereader didn’t last the year. The battery fritzed before the next Christmas rolled around. And I was never all that impressed with the software that managed the books. But it did get me over to the ePub format for ebooks, so that’s a positive. It also introduced me to Calibre, the electronic ebook library management software, which has been a godsend. But I was incredibly grateful when I could head straight back to my cellphone to read books, and load up the latest ereading software for every format out there, including Kindle. I could relax and enjoy my reading once more. Why? I always have it with me. It does a heap of other things besides read books, including remind me to stop reading, when I really need to go on to something less important, like, oh, that work thing. And take photos…and you get the idea. A couple of years ago on this blog I ran a long series of posts on the available types of ereaders, including laptops, cellphones, tablets, ereaders…the lot. It was one of the most popular series on the blog, and got a heap of traffic. I have considered updating the series, and even did a bit of research into ereaders. That’s when I decided there was no way I’m going to do a series on ereaders. There are simply dozens, if not hundreds of the buggers out there now. I could spend weeks updating everyone on ereaders and when I was done, the series would already be out of date. Ereaders are evolving and emerging that fast. But…I don’t think a series on ereaders is actually worth while doing at all. Because I’ve noticed what I think is a quietly emerging trend. I don’t think people are buying ereaders anymore. I think people are starting to do what I did two years ago, only they’re doing a scaled-up version of it. The iPad2 -- note the Kindle logo on the screen. Apple made this possible with their iPad, which revolutionized hand-held computing. But the iPad was clunky, expensive, and people had to wrap their heads around the whole concept and get used to it. Well, they’ve done that. And while they were doing that, the rest of the computing world caught up. Including Apple, which just brought out the iPad2, which is sleeker, quicker, and a bit more reasonable in price. It also…very important…carries the Kindle software, as well as it’s own ereader software. Plus you can load any other software you like onto the iPad. While Apple were refining and producing the iPad 2, Acer, a manufacturer of reasonably priced computers and laptops, grabbed hold of the idea of hand-held computing and combined it with the Android platform, an open-source programming code that hackers and programmers just adore. They just brought out the Acer mini-tablet, which isn’t much bigger than the iPad 2 in physical size. 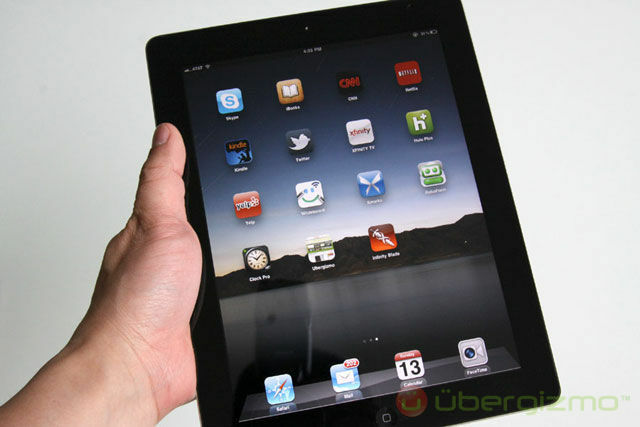 It is also four times cheaper than the cheapest version of the iPad 2. The Acer tablet also carries Kindle ereading software, plus any other software you care to load onto it. Plus it’s backlit, will remind you to stop reading, plays music, reads email, accesses the internet and much, much more…. 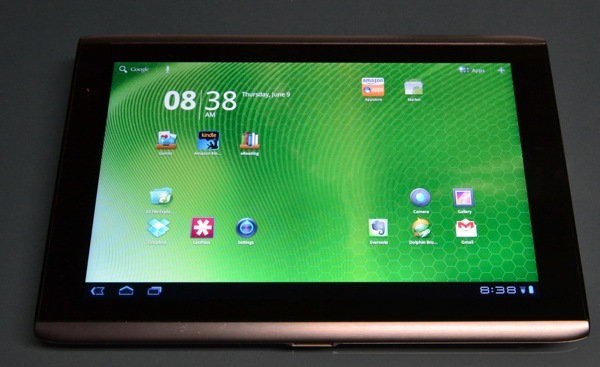 There are other mini-tablets out there, and I’m certain that every computer manufacturer will hop into the market with their version. HP have one, for instance, but the price is exhorbitant, and performance is so-so, while the size isn’t impressive enough to call it a hand-held anything. The Acer Tablet and the iPad2 are small enough to be considered hand-helds, while being powerful enough to have real computer characteristics. These two, and any others that follow, will pave the way for the next revolution in ebook reading. Or at least, that’s what I think, anyway. How Do *You* Find More Time to Read More Books…? Amazon is *making* you change how you shop. Interesting. I have the opposite view from you, Tracy. I also have a Sony–one that’s four years old and still trucking. I love it. I love it because it does exactly what I want–allows me to read. I have no interest in the iPad, kindle fire, or any of the others because I don’t want to check my e-mail, play a game, etc., etc., etc. I confess I resent in some fashion the notion that EVERYONE in the world is interested in carrying a computer/phone around in their pocket. I have a no-frills cell phone I turn on a couple times a year. Maybe. I keep it charged for emergencies. I have a DESKTOP computer I use every day. With a 27″ monitor so I can actually see what I’m looking at. For those very few times I’m away from the home on vacation, I have a laptop. I think that’s the key, actually. I have a very restricted, hermit life and no need for a tablet. There are many older individuals like me who are in the same fix. Unfortunately, the technology companies are not looking at OUR needs. I can’t tell you how many articles I’ve read about how the desktop computer is going to disappear and keyboards will be eliminated and I just wonder. How will the elder population communicate? We need something that is stable–something we can’t drop–something we don’t have to hold in our hands. Even on a digital reader there is a limit to how large the font can be. So what will happen when we can no longer see the screen? I also wonder if the proliferation of tablets is going to push society further toward the isolation I see happening. My daughter received a kindle fire for Christmas and we didn’t see her again until we bid her goodbye when we left. I understand the advantages of the technological revolution. I just wonder if humanity will survive it. Good post, woman. Very thought provoking. I was one of those people who said they would never get a kindle. I like my book to physically be in my hand. I finally broke down and bought one when the Kindle Gen 3 came out. It took a while to get used to but now I love it. I’ve had it for 2 1/2 year and it is still working perfectly and I read about 1 book every 2 days. As a reviewer, the Kindle has saved me so much room. I know my husband was tired of having books piled in every corner of the house. As for the tablets and Kindle Fire, and all the other items like that. I have no interest. I was intrigued, but really, I have an android phone, a kindle, and a laptop, do I really need another thing to carry around? I too am a huge fan of Calibre. It’s a huge help! Ebook reading is addictive, isn’t it? There is a lot you can say, good and bad, about the Kindle, but it’s like Microsoft programs: It’s popular, accessible and cheap, and it will introduce ebook reading to the masses, like Microsoft introduced personal computing to the masses. I don’t think I was trying to say that the mini tablets are the next must-have toy, along with your cellphone, ereader, and laptop, etc. Rather, I think for people who have not YET moved over to ereading, the mini-tablets are going to be a natural bridge for them — as ereaders clearly haven’t convinced them to jump yet. And for everyone else who does already have the smartphone, ereader, laptop, and on and on, the minitablets are a way to replace at least two, if not three, mobile devices. 1) laptop or netbook, 2) ereader, and 3) smartphone (you can drop back to more simple cellphone and use the tablet for the higher-end computing work instead). I forgot to add: There’s a guy on my bus who always sits next to me. He has an iPad2 (damn his eyes). And he watches entire television episodes, 1 per day, on the way to work (ours is a 60 minute journey). He’s one of the most relaxed and happy suits I’ve ever seen….